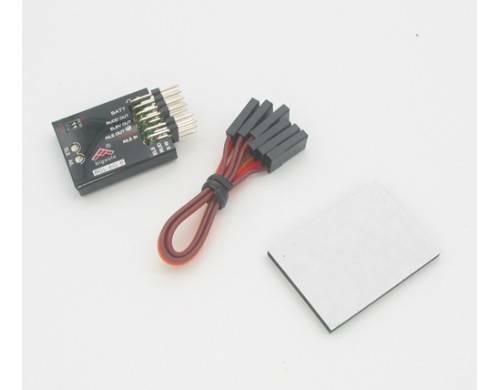 Bigaole, high performance 3 axis gyro with 3 axis accelerometer. 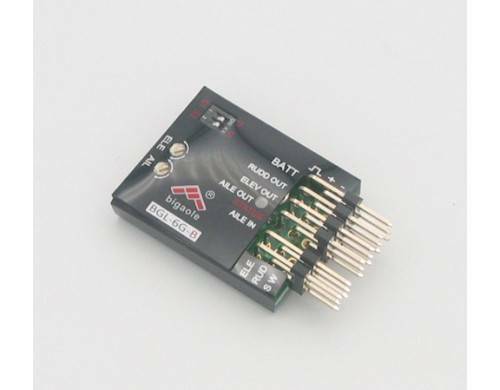 The 6G-B stabilizer is a small lightweight, high performance 6-axis gyro. The 6G-B support 3 Types of planes. Standard plan-form, flying wing and V-tail. With the latest MEMS technology the 6G-B provides excellent stability, flexibility, and reliability. 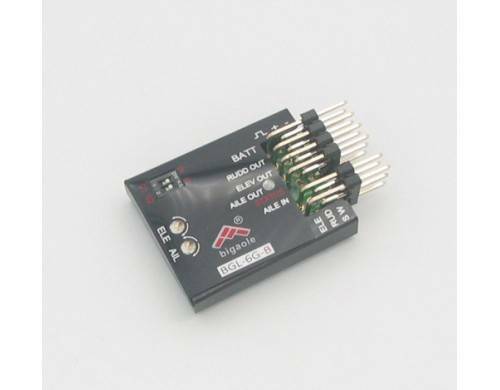 Making use of the accelerometer function of the MEMS gyros allows higher attitude sensitivity. This extra sensitivity is consequently used to increase stability by limiting the velocity of attitude changes, making this gyro an excellent choice for beginning pilots. Features a compact design and is light weight. Supports conventional plan-forms, flying wings and V-tails. Easy setup and adjustment.